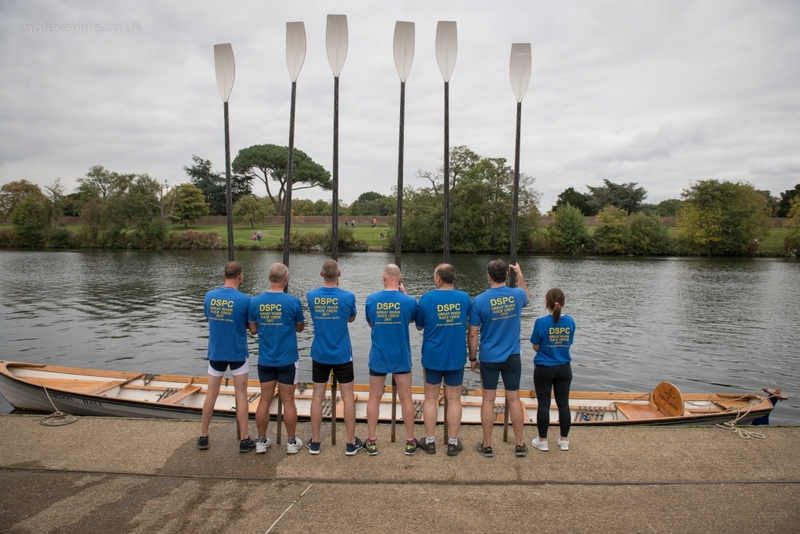 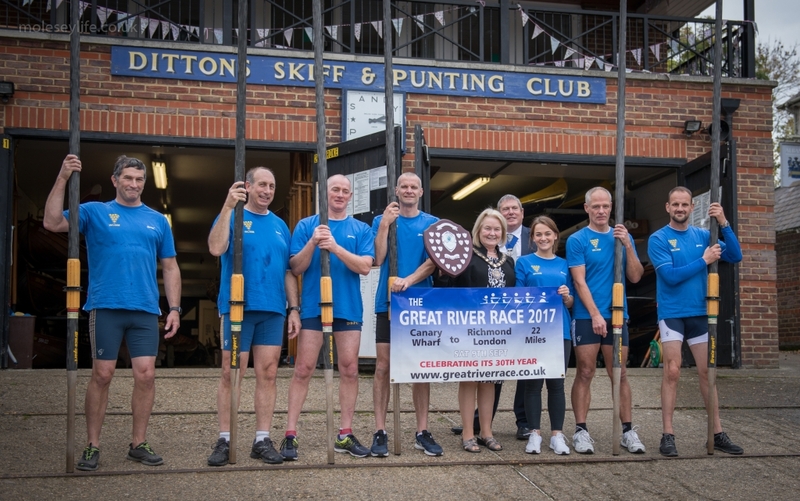 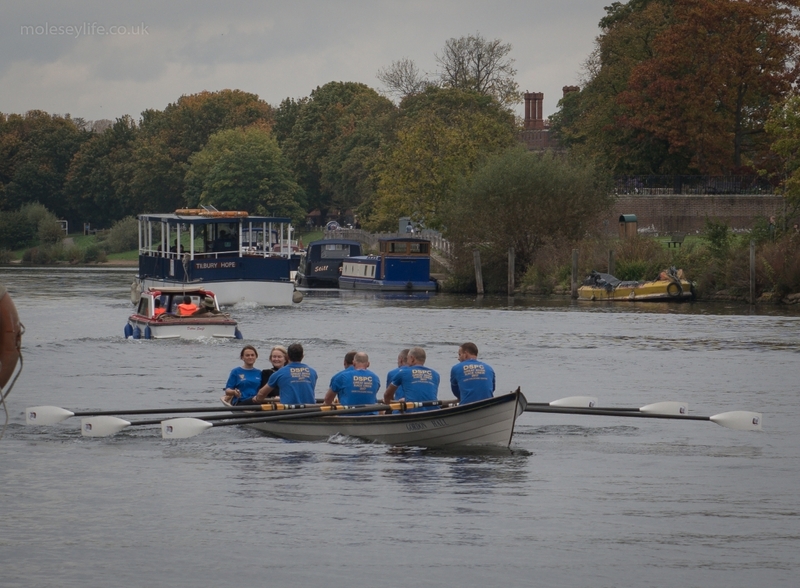 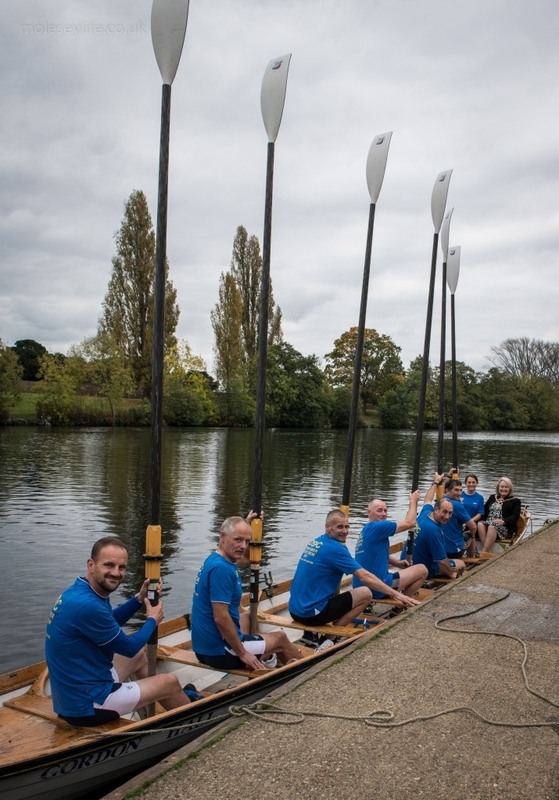 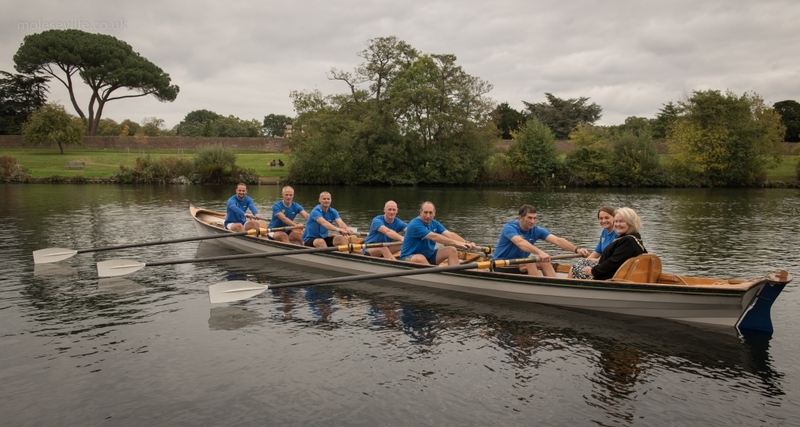 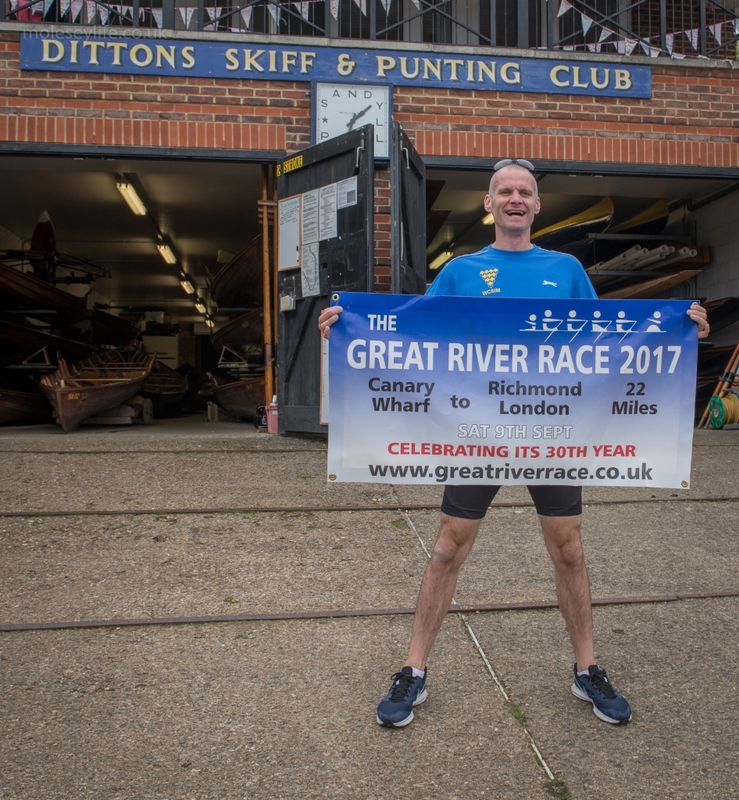 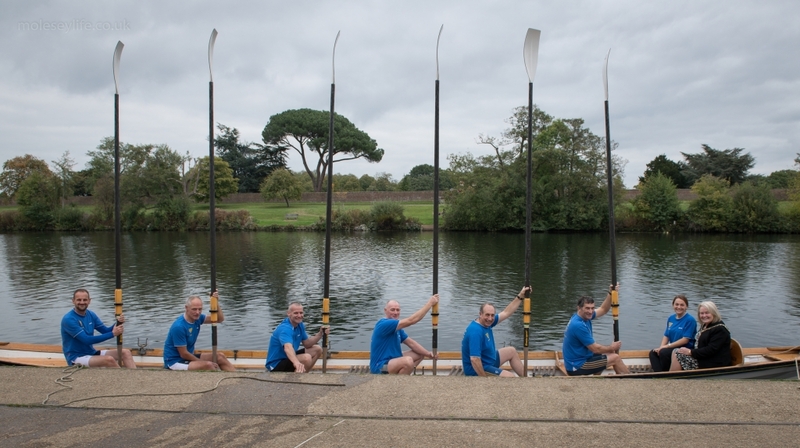 A six man cutter crew from Dittons Skiff & Punting Club, based in Thames Ditton, and the Worshipful Company of Instrument Makers, from Richmond upon Thames, was victorious at the Great River Race on 9 September, winning 3 trophies. 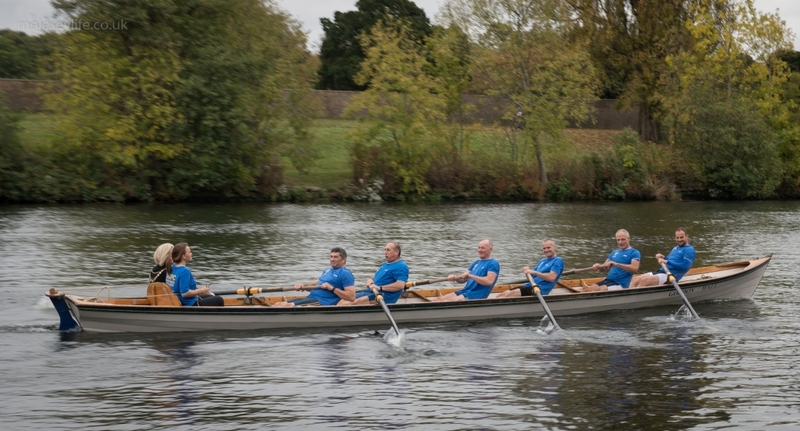 In particular they won the Riparian Challenge, as the fastest crew representing a riparian (river adjacent) borough – Elmbridge. 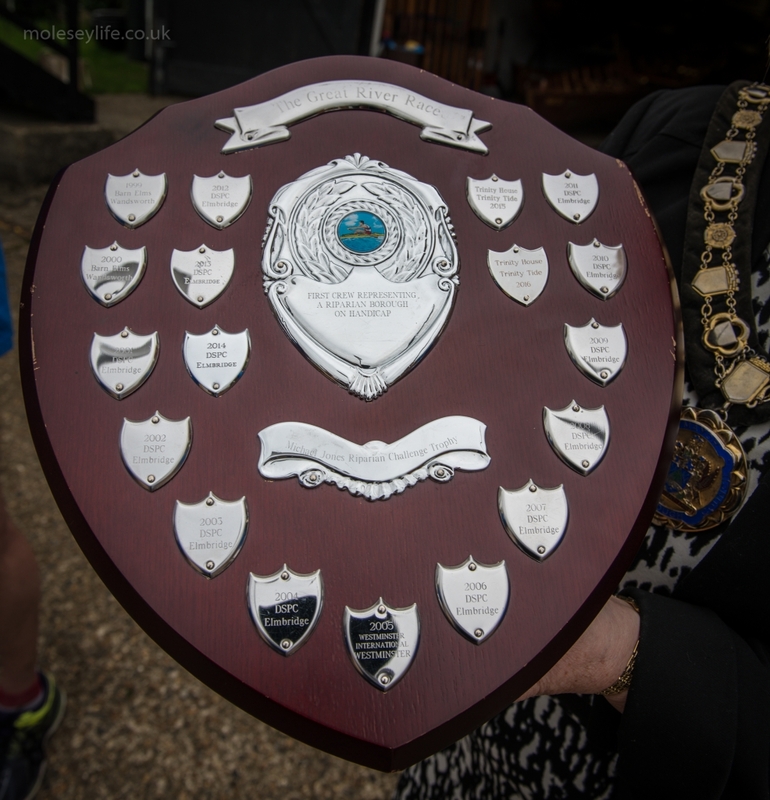 They carried a representative of the Mayor of Elmbridge and their winning time of 2 hours 17 minutes and 4 seconds was over eight minutes ahead of the next placed cutter. 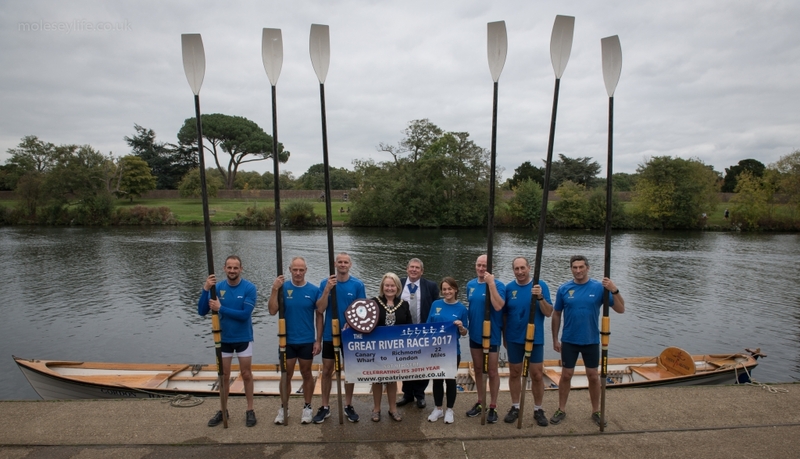 The crew were delighted to finish 3rd overall (out of the 332 participating boats) and were thrilled that they had overtaken over 300 crews during the course of the race. 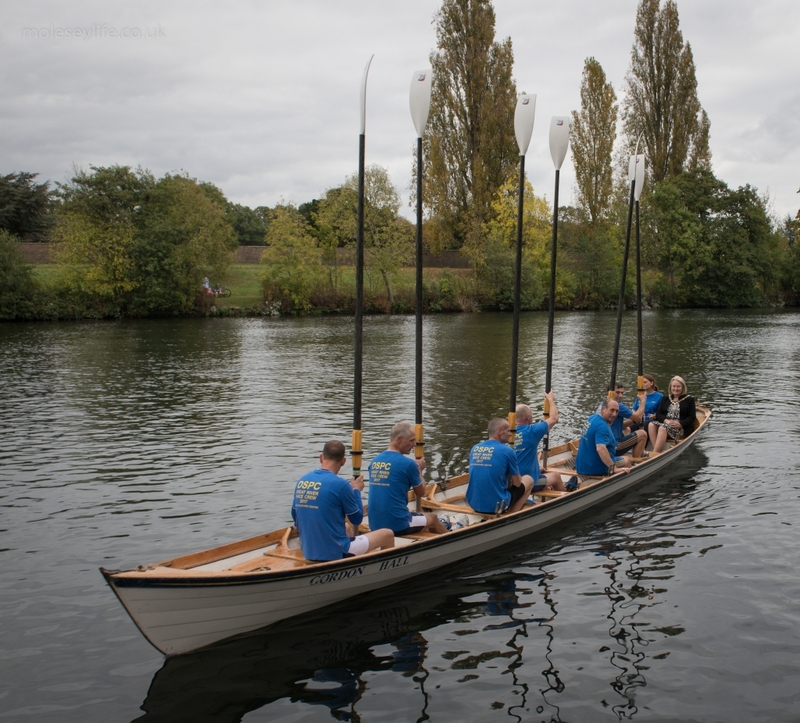 This annual river spectacular is raced by numerous different types of manually propelled river and sea boats ranging from Hawaiian War canoes, dragon boats, Cornish gigs to dinghies, from the London Docklands to Richmond, a distance of 22 miles. 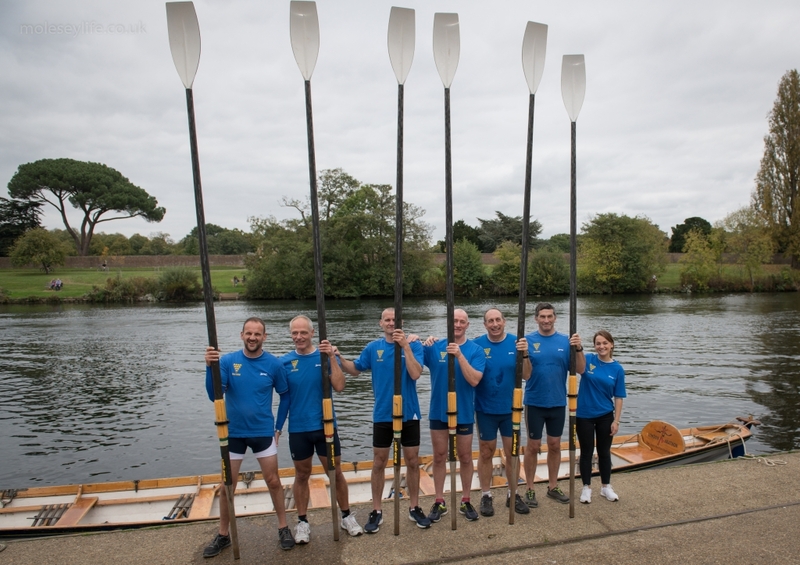 At the photo shoot to celebrate her crew’s victory the Mayor of Elmbridge, Councillor Rachel Lake, said, “My crew raced brilliantly even rowing through a torrential thunderstorm. 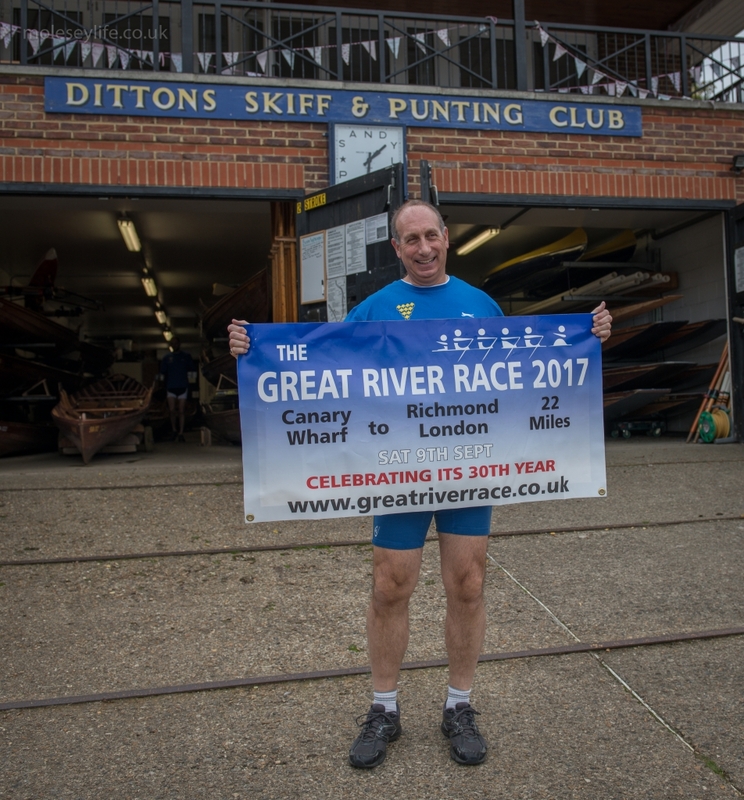 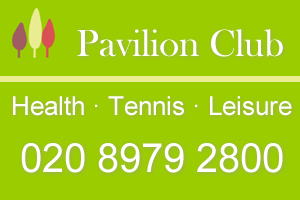 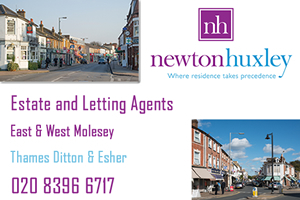 I am thrilled that they have so far raised over £1500 for Oasis Childcare, a local charity that I have chosen to support in my mayoral year. 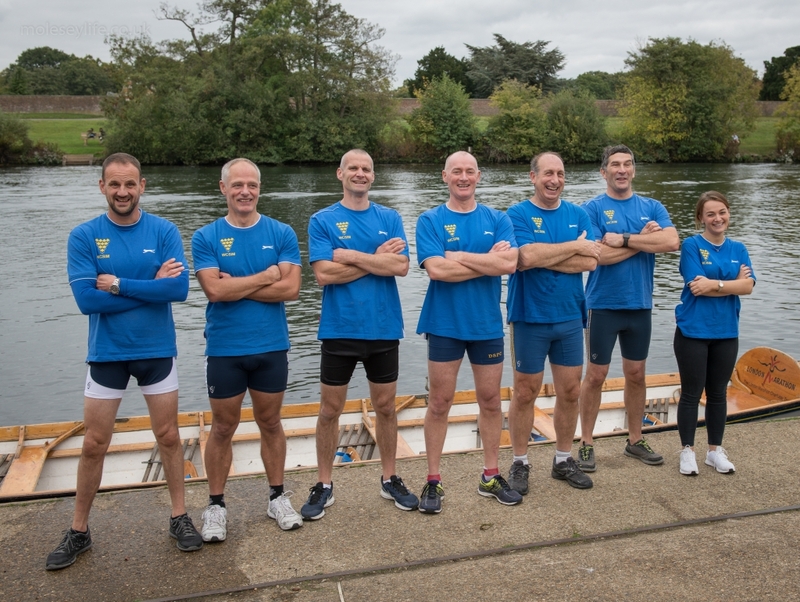 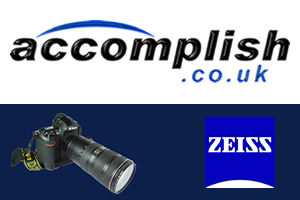 The crew have a Just Giving page where people can still donate to what is a fantastic local cause https://www.justgiving.com/companyteams/dspc“.